Shopping for insurance is not as simple as many assume. Even if you already have coverage, it is advisable to continuously shop for health insurance, especially in the open enrollment period. People who are collecting subsidy or qualify for subsidies are advised to shop even more frequently since they could be leaving out great offers. Often, your employer will provide health insurance for you, and will typically find the cheapest option on the market. The fall of each year is the best time to start shopping for health insurance options whether you are already covered, if you are receiving assistance, or it is your first time since you stopped working. The fall season is the perfect time to shop for health insurance because it is open enrollment time from November until the second week in December. You can still choose to pay for your own health insurance plan. But, how and where do you start? Health insurance is regulated by the federal government. Providers are usually listed on the Affordable Care Act marketplace, and these vary across state governments. Alternatively, you can look through the healthcare.gov federal marketplace. Private health insurance companies can also be a good option, and you will usually have to actively shop through insurance broker for these offers on the internet. HMOs requires an in-network primary care physician who identifies your medical professionals. As a member of the insurance companies that are HMO plans, if you see a specialist outside the network it will cost you more money. HMO plans features lower premiums and lowers deductibles or there are no deductibles. There are restrictions that limit coverage to a certain number of visits, tests or treatments. Such plans only allow you to be served by doctors in the given HMO network. If you choose to go outside the network, your insurance provider will not be involved in the settlement of the bills. The cost of healthcare will be completely covered by the plan only after you pay the necessary deductibles. In addition to monthly premiums, you will have to make co-pays or co-insurance payments for the services you receive. Co-pays are flat rates that are payable after you receive healthcare. On the other hand, co-insurance involves the payment of a percentage of healthcare costs. HMOs involve very little paperwork and also offer the lowest flexibility in choosing healthcare providers. PPOs give you some room to see health care providers outside your network. In such cases, you will have to pay a greater proportion of health costs. Unlike HMOs, you do not need referrals to see providers outside your network. Your costs in such insurance plans include monthly premiums, co-pays, and co-insurance. Some PPOs also include deductibles. This plan also includes very little paperwork. If you stick to doctors within the network, there will be no need for any paperwork. Premiums for EPOs are generally lower than those of PPOs. You have the freedom to get served by doctors outside your network, although you will have to pay the full cost yourself. You don’t need a recommendation from your insurer in order to go outside your network. EPO costs include premiums and co-pay or co-insurance. Some also charge deductibles. However, to see physician specialists, you’ll have fewer costs when you see an in-network specialist. Paying for PPO flexibility means that you will pay higher premiums and deductibles which is different from basic HMO plans. Again, there is very little paperwork involved with EPOs. With PoS plans, you will have to get a recommendation to get out of your network. It will cost you more to use services outside the network. The insurance company will offer you a primary care doctor who will coordinate your health needs and refer you to specialists. You will have to pay the full deductible before your plan can cover more than your preventive costs. Making use of services within your network will cost you much less. It is, therefore, in your best interest to go for plans that offer larger networks. If you prefer greater freedom to choose your doctor, choosing an EPO or PPO will also reduce your overall costs. Different plans have varying offers and failing to read the fine details can make you miss out on great plans. You should find out the policies of the insurer on the drugs you are taking and medical equipment you might need to purchase. Before starting your new insurance plan, make sure you terminate the previous one. If you are still working, a majority of work insurance plans are offered through employers. Insurance companies that are HMO plans, insurance companies that are PPO plans, or insurance companies that are EPO plans are easily offered through major insurance carriers. When shopping for your health insurance needs, make sure that your health plan covers your existing or preferred doctor or else your medical costs will escalate. Check with your existing physician to see if they accept the specific health plan coverage you have chosen. You check with your new health care provider to see if your doctor is within the network. If you do not have a primary doctor, your new plan will identify the physicians that are within their network and which are close to where you live or work. If you have been a part of the Affordable Care Act/Obamacare program, please understand when shopping around for your health insurance, make sure that your health coverage needs meet the Affordable Care Act requirements because this is still in effect as the primary coverage program. If you are thinking about purchasing an individual health care plan or a family major medical plan within or outside of this government program, your basic health benefits are still a basic part of your coverage requirements. 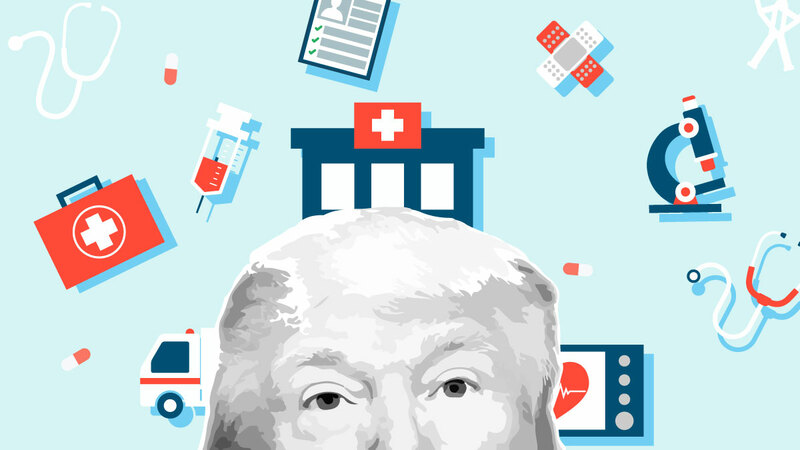 With the Trump Administrations intervention steps, the Affordable Care Act for the coming year benefits and restrictions remain in effect with one major change. The change is that the tax penalty against members has been removed. What this stands for is that you can choose your own health insurance coverage options and/or your employer can offer more work insurance options for the coming year. Depending on your healthcare needs and what premium costs that you can afford, you can either choose the Affordable Care Act plan or enroll in the varying alternative coverage plans with no looming tax penalties. Companies that are HMO programs or companies that are PPO programs and including companies that are EPO plans will vary by state. Check where you live about the plan design for each one in order to receive the best coverage. They all offer different benefits, restrictions, coverage, and premiums but understanding the difference between companies that are HMO, companies that are PPO, and companies that are EPO is a good first step in deciding how to pick the health insurance plan will work best you and a family. Here is additional information on work insurance plans or employer-sponsored health insurance plans which are offered to employees and are called “group plans.” The cost of employer-sponsored health plans is a shared premium experience. Plans offered through work insurance programs are narrowed down because the employer has employees choose between 2 or 3 different plans. A good benefit in work insurance health plans is that your premium contributions are not subject to taxation with lowers your taxable income. Will There Be Change In the HealthCare System? Until our lawmakers decide what they want to do about the U.S. healthcare system, citizens just want and need affordable healthcare. Choosing the right insurance plan helps to make that decision possible. Remember to better understand your health insurance options and what you should know when shopping for the best coverage, make your checklist. First decide on the type of plan that works best for your healthcare needs – HMO, PPO, EPO, etc. Don’t choose plans that your physician is not a part of. Based on your lifestyle, choose if you want more coverage which is accompanied with higher premiums or the opposite which can have more out-of-pocket expenses. Finally and most importantly, choose a plan that provides the best healthcare coverage and which will pay for your medical needs.